I have a confession to make, I am slightly addicted to anything robots! I have quite the collection of robot stickers, toys, magnets, stuffed bots, robot books and am always on the look out for more robots. This being said, I decided that my culminating unit with my students would be robots. I am part way through it and I never could have imagined their excitement for this unit. I have kids coming up to me at recess telling me about robots they saw on TV or robot design ideas they thought of while eating breakfast; I love their enthusiasm and engagement! 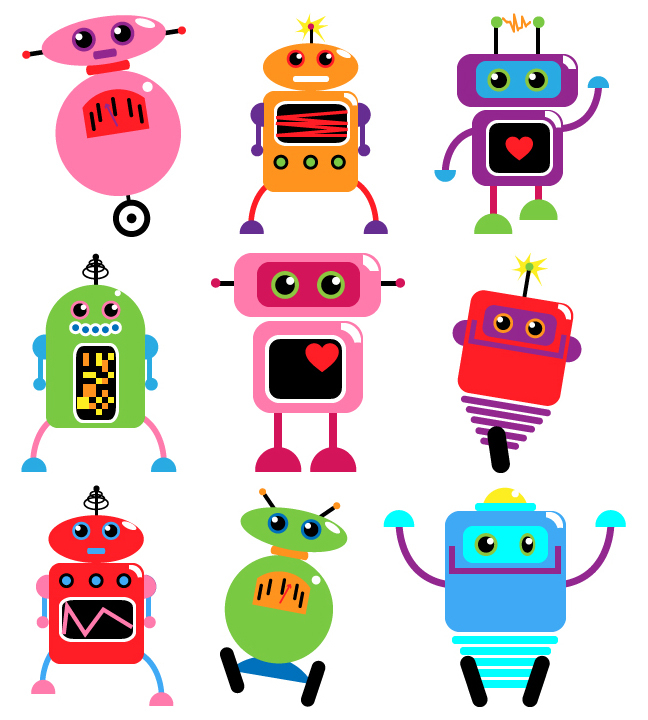 To introduce the topic of ROBOTS I began with a discussion of "What is a robot?" I was amazed at the complexity even first graders could verbalize. I had a 6 year old tell me that "A robot is something that moves and needs either electricity or energy to do a job." Together my classes and I worked towards coming up with a common definition of what a robot is and I dispelled the myth that a robot has to have human-like physical characteristics. Next I showed my classes (K-6th) a 10 minute web video by Ben Axelrod. It has lots of relevant and interesting information and we kept having to stop it so students could share their thoughts and make connections. There is about a 3 min section at the end of 4 robots dancing...I ended up fast forwarding through most of it to recoup time! I also have a LEGO Robotics set that was donated by a parent and have some students making an NXT Line Tracker. A robot is a machine and have a capability of stentorian out a difficult sequence of actions automatically. Robots can be directed by an outside control device and may be built to take on human form but most robots are equipment intended to complete a task with no regard to how they look. Some students of our consultancy are researching on related topics who are usually getting psychology assignment writing help from me as I am assignment writer at Assignment Help Folks where I am providing excellent assignment help to Australian students on various subject such as finance, nursing, marketing, economics and psychology with pass guarantee and reasonable rates. So I would like to suggest this article to them and hope it would be helpful for them. Thanks. Get the chance to know the latest trends of technologies and connect with the technology by taking Robotics courses. There is a great scope for robotics all over the world. Robotics is a field that covers almost all the spheres of technology, whether it is Mechanical, Electronics.There is a great scope for robotics all over the world.Starting an admission essay is a hardest part. The admission essay should define your personality and your strength with more specific. Don’t worry visit custom essay writing service. A robot is somewhat that changes and needs either power or energy to do a job. Composed my lessons and professional essay writers I worked to coming up with a shared definition of what a robot is and I dismissed the myth that a robot has to have human like physical physiognomies. Our customers are our asset. Providing you excellent, original, can someone find assignment writing service and informative content is our basic motive. We work hard with full loyalty and responsibility to do what we say. 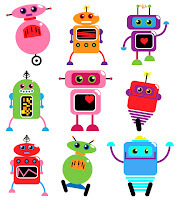 Engineers have utilized robots to make numerous technologies that students see each day, various which are appeared in the exercise's PowerPoint introduction. In the movement, students are approached to plan a program to take care of an issue as though they are engineers. To finish up, students are gotten some information about ways they could utilize robots to tackle issues. Through this exercise and movement, students fabricate a fundamental comprehension of apply autonomy through seeing how builds have utilized them.